A few weeks ago I FINALLY got myself a new serger to replace the one that broke last year! You can watch the serger unboxing HERE. Even though I’ve owned a serger before it was a second hand one that I didn’t really know how to use other than basic finishings. So as I’m learning how to use my new one I want to share that info with you all! 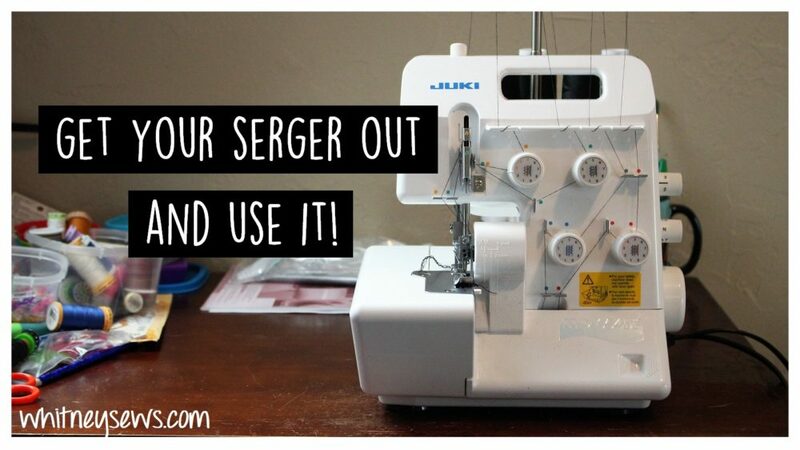 This week I wanted to share how I got my serger set up, threaded and ready to use. Check out the video showing all that HERE! BTW I have already used my serger to make one project! 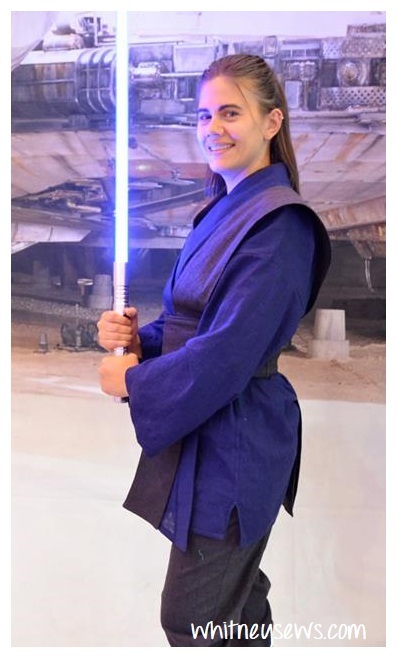 I made a fully finished Jedi costume. I’m pretty sure it’s the most professionally finished garment I’ve ever made! I’ll have another video in the future with more details about the costume. 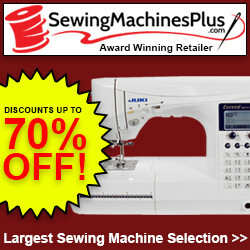 What kinds of things do you want to learn about using a serger? Let me know in the comments 🙂 Until next time, Happy Sewing and Serging! This entry was posted in Blog, Serger Saturday and tagged How to, serger saturday.